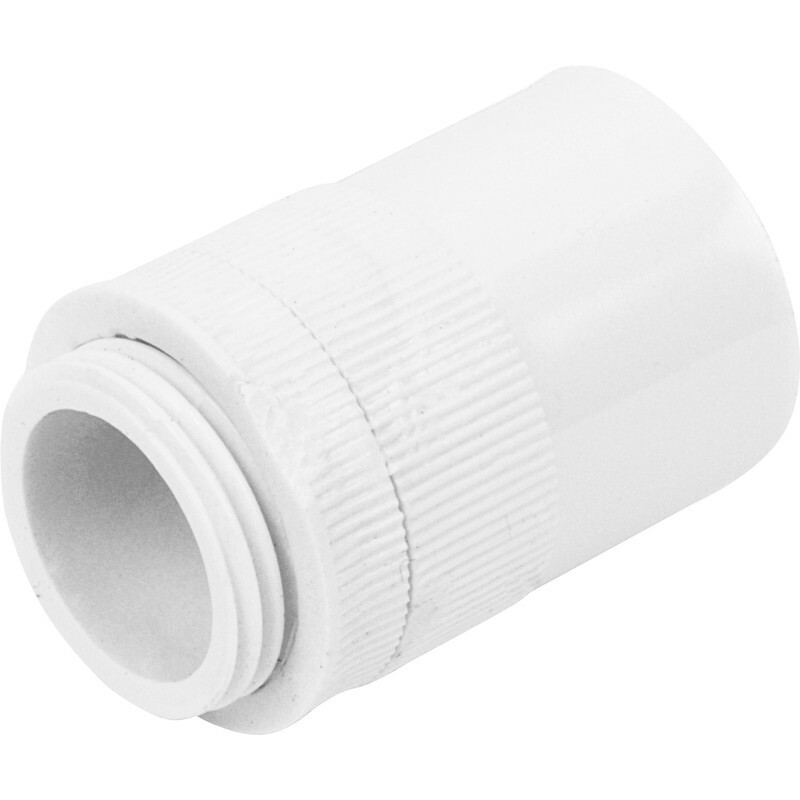 20mm PVC Male Adaptor White is rated 2.6 out of 5 by 7. Rated 4 out of 5 by Gra17 from Does the job Inexpensive but quality is low. Doesn't really matter actually but the threads are so bad it will barely grip. Rated 1 out of 5 by cl22cl from Poor quality There was still a lot of plastic swarf left on the plastic mouldings and the male and female parts of the thread were a very poor fit and would slip the thread if tightened too much. The knurling on both pieces was extremely poor probably being indicative of the quality of the dies being used to make them. Will not be using them. Rated 5 out of 5 by Rod D from Perfectly nice straightforward value I bought a set of these to make my revised garage wiring safe and tidy. Simple to install and cheap, definitely I recommend.